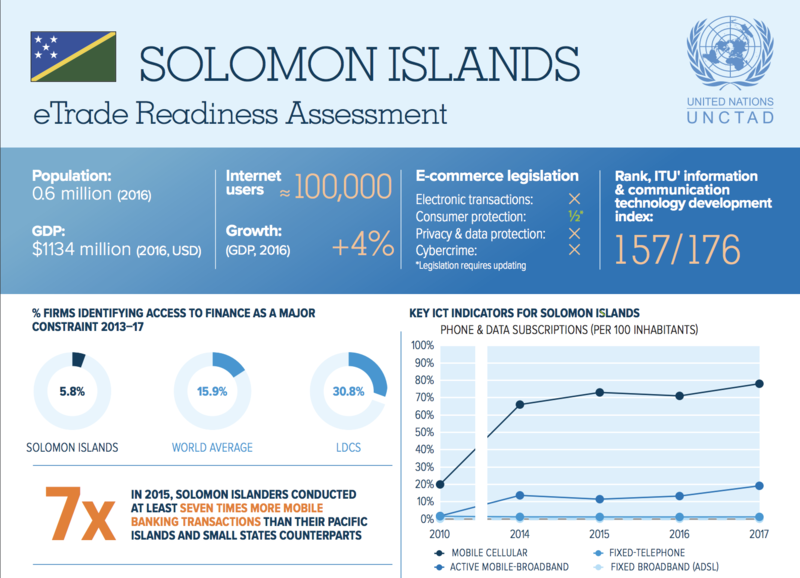 Together with domestic stakeholders and development partners, EIF is supporting the Solomon Islands to prioritize its trade‑related needs. The first National Trade and Policy Framework was developed and launched in 2015, and through targeted sector support the Government has leveraged EIF funding to secure additional resources to support its trade policy framework. Donors have funded seven projects identified by EIF worth a combined total of US$12 million related to trade priorities in the Solomon Islands. EIF is working to address trade constraints through specific partnerships in line with the implementation of the country's National Trade Policy Framework. With the International Trade Centre organized a workshop on the Trade Facilitation Agreement for Government and private sector representatives responsible in April 2017. First National Trade Policy Framework was developed and launched in March 2015. Incorporated trade into the National Development Strategy 2011-2020. Incorporated trade into the sector strategies for agriculture, tourism and fishing, and commerce. A National Trade Facilitation Committee was created and endorsed by the National Trade Development Council to coordinate on trade facilitation issues and implement the provisions of the WTO Agreement on Trade Facilitation. EIF is working to promote the Solomon Islands as a distinct visitors’ destination in the Pacific, with the goal to improve collaboration between ministries, the private sector, tourism operators and NGOs. 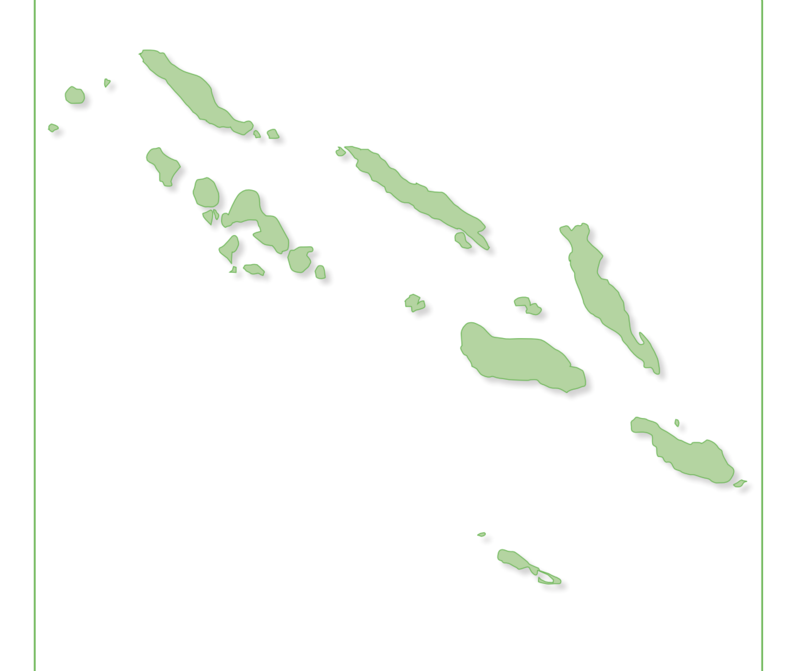 Launched Solomon Islands National Tourism Development Strategy (SINTDS 2015-19) in 2015. The revised policy sets the overall platform and direction for sustainably developing the tourism industry so that it becomes a significant driver of economic growth. Project providing 3-5 grants annually to innovative ecotourism projects. The Solomon Islands Visitors Bureau now marketing small-medium operators through its online portal, which is significant because most SME tourism operators had not previously been marketed online. School of Tourism and Hospitality at the Solomon Islands National University is offering a variety of certificates and other educational opportunities, including internships in hotels, field trips, practicums and guest lecture sessions. The first group of 24 students (16 women and 8 men) successfully completed the Certificate in Travel and Tourism, and another 15 students (12 women and 3 men) completed the Certificate in Hospitality. EIF is working with the Government to expand economic opportunities through interventions in select agriculture sectors to contribute to the realisation of Solomon Islands’ National Development Strategy. The partnership aims to boost exports of key agricultural commodities, namely taro and cassava, by establishing an appropriate policy environment to increase investment and boost the capacity of local testing facilities to ensure food safety compliance.